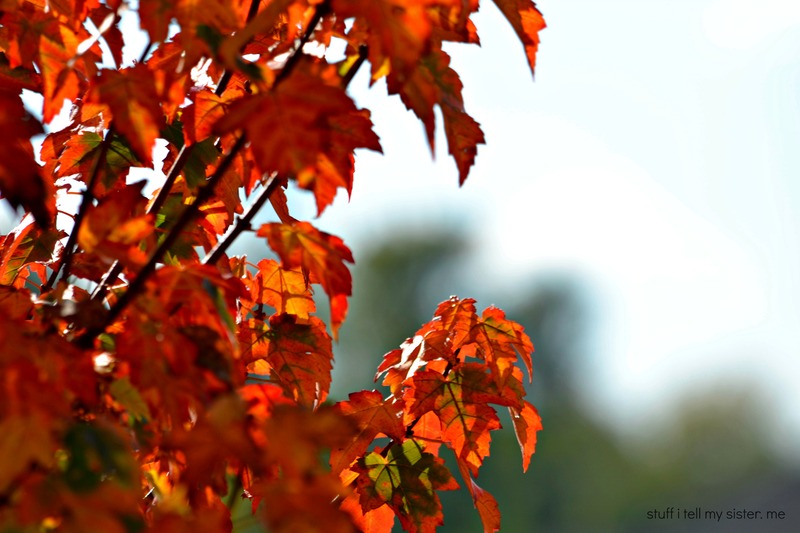 This entry was posted in Fall, Family, Forgiveness, Friends, Oklahoma, Reflections, Relationships, Uncategorized and tagged Autumn trees, Dead trees, Fall Tree, Nourishment. Bookmark the permalink. Yup, definitely worth the wait. Love you! It was meant to be… That exact tree! The little things indeed! Some even grow to become bigger and gloriously colorful. I’m glad you didn’t give up on it. Beautiful tree and photo! Happy Fall. Love those beautiful rust colored leaves. Do you ever press the leaves between pages of a heavy book and if you write names on them, they are great place cards for Thanksgiving dinner. ooh, will have to try that! I agree. It IS the little things. Thanks so much. This is a pretty year for colors….wish the season lasted longer! 🙂 Well we are grateful for the color AND the birds love the hideaway! Yes, it is the little things. And day after day after day…. they add up. Such a pretty color of the leaves. The ice storm and lightning did a fatal number on my colorful trees, and I miss their fall offerings. Great photo, so peaceful. We had SOOOO many trees when we lived in Missouri and Arkansas….not here….guess that makes me appreciate what we have even more!? Soooo right… And we may not know it for many years.